Anyone who knows me knows that I have incredible ability to put away gobs of ice cream in a single sitting. Lactose intolerance, be damned. 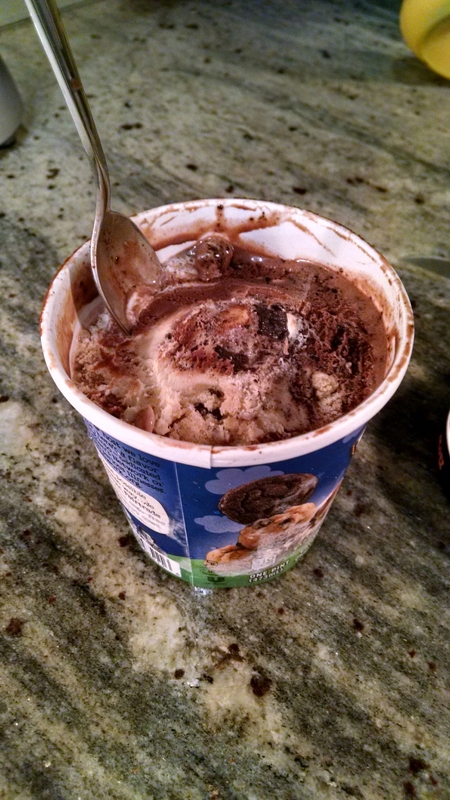 I never have been able to figure out why I can’t stop myself from shoving in the creamy good stuff, not stopping until I hit the bottom of the carton. It’s strange but while I’m scooping away I’ve always felt that something in my brain clicks off and all eat-right bets are off. Then I received the explanation of my binging ways, courtesy of the UT Southwestern Medical Center PR department. Apparently researchers at this institution have found that fat we eat—specifically palmitic acid, which is found in foods such as butter, cheese, milk and beef—travels to the brain and causes a communication break down between our cells and the hormones leptin and insulin, which suppress appetite. The bottom line: Our whole brain chemistry can change just by eating something delicious. These fatty acids make us resistant to the every mechanism that tells us not to overeat. Ah-ha! That clicking in the brain wasn’t just my imagination. Thank you for clearing that up.